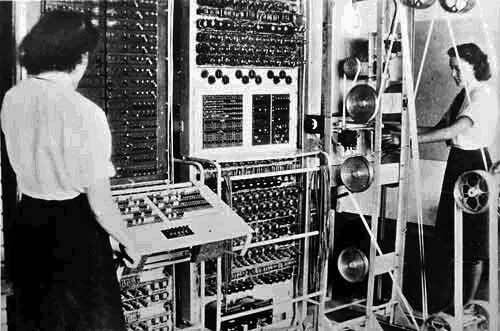 Colossus was the world's first electronic, digital, fixed-program, single-purpose computer with variable coefficients. The Colossus computers were used by British codebreakers during World War II to help in the cryptanalysis of the Lorenz cipher. Without them, the Allies would have been deprived of the very valuable intelligence that was obtained from reading the vast quantity of encrypted high-level telegraphic messages between the German High Command (OKW) and their army commands throughout occupied Europe. Colossus used thermionic valves (vacuum tubes) to perform Boolean operations and calculations.